IF you are seeking a divorce in Texas, then you should not handle your divorce case on your own. It is not recommended to handle your own divorce cause because of the tremendous amount of emotional stress you are experiencing at the moment. If you are ending your marriage, then legal representation is important. Although it is tempting to just let go and let your spouse set the terms so that you can get it over with fast, this is not good for you. If you seek the services of the Texas divorce lawyer, then he can secure the best deal for you and your future. Divorce laws in Texas differ from laws in other states. There is no one who ever gets married who plans to someday get a divorce. 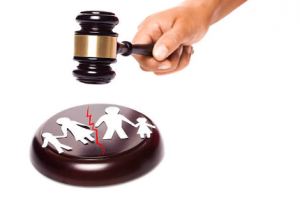 In a divorce, all family members will be affected and will have an extremely difficult time. You will need a Texas divorce lawyer especially if there are going to be arguments over obligations and disagreements over division of the marital assets. During this stressful time, a good Texas divorce lawyer can help find common ground. Knowing which district court has jurisdiction over your case is important if you are filing for divorce in Texas. Texas law requires that you have lived in Texas for at least 6 consecuritve months, and 3 consecutive months in a single county. It is important that the reason for your divorce is stated. There are two grounds for divorce, the fault-based or the no-fault based grounds. If neither party is at fault for the marriage break-up, then this is a no-fault divorce. IF both parties agree that their bond is irretrievably broken, then divorce is the only solution. A fault-based divorce is a divorce based on the fault of either one of the parties or both of them through reasons such as infidelity, abandonment, cruelty, and others. Divorce involving children requires that both spouses work out an agreement before the case goes to the judge. For the welfare of their minor children, both parties have to sign an agreement on the course of action to take. The judge then decides if the agreement is fair and then makes his final decision. The laws and restrictions bound to Texas requires that Texas divorce lawyers be trained to handle divorce cases in the state. In the discovery process, each spouse learns from the other all relevant information concerning the divorce. For the couple’s property values and division, a decision will be made. Before a contested case goes before a judge, it can take more than a year. The important thing is to hire a divorce lawyer to make sure that someone is looking out for you due to all the legalities. In order to seal an agreement with you partner that will secure your interest and that of your children, you will need a good Texas divorce attorney. View on this site for more: https://www.huffingtonpost.com/henry-gornbein/why-is-practicing-family-_b_1515595.html.